Following the visit of a mysterious man, no one can seem to remember; Jackie Fierro and Diane Crayton are teaming up to solve the mystery of who the mysterious man is and what his part to play in their lives means. 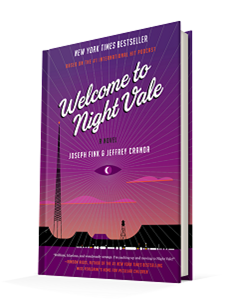 Published October 20, 2015, by Harper Perennial is a novel by the creators, Joseph Fink and Jeffrey Cranor, of the podcast of the same name, Welcome to Night Vale bridges the gap between podcasts and literary fiction. This is a unique novel to read because the story itself has the tone and structure of the podcast itself. That’s not to say that you must be a fan of the podcast to enjoy the novel, but it does make it easier to fall into the flow of the novel itself. It’s a book that branches the story into three parts, two that eventually tie together and then the podcast sections of the novel that give a broader aspect of the scene. It seems like nothing is coming to together and that the reader is just along for a crazy mysterious ride. Then midway through the novel, all the pieces that the authors carefully laid out come together perfectly. Even the podcasts designed sections of the book that break up the pace of the novel bring the story together by capturing the mystery of Night Vale. The best part of the novel is how quirky it is. It’s just a delight and a wonder to read about because of how Night Vale is put together. The authors captured the essence of the Night Vale podcasts. It has a powerful beginning, one that is bathed in mystery for the reader. Off the bat, the story lures the reader into the mystery and the uniqueness of the characters. 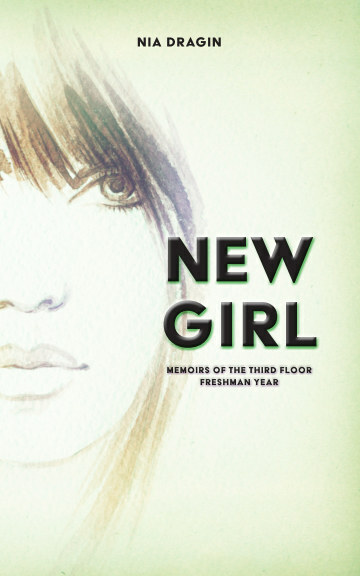 Readers are first introduced to Jackie who has been 19-years-old for as long as she can remember. This is a character who cannot age and who then gets a note stuck to her hand indefinitely. There’s also the play with names and memory. It’s an opening that will draw the reader in, without a doubt, and make them turn quizzical looks towards what they are reading. The entire novel is like that, fun and lighthearted, but followed by some dark moments. Admittedly, Jackie isn’t the most engaging characters to follow. She’s mostly a dense character who has a unique life and has fallen into some unusual circumstances. But other than that, until the end of the story, she’s not really that interesting of a character to follow. There’s nothing fun about her, but the point is that she’s supposed to be a deeper sadder character who has lived so long she doesn’t remember the basics of her own life. For Diane, she’s a mother, and this makes her a little more likable as a character. It’s funny, the interesting characters are the ones around the main characters. Oh, and Cecil of course, can’t forget about the mysterious voice of the Night Vale radio.